The Vans RV series are the traditional kit aircraft. 8000 of these kits have been completed and are flying. 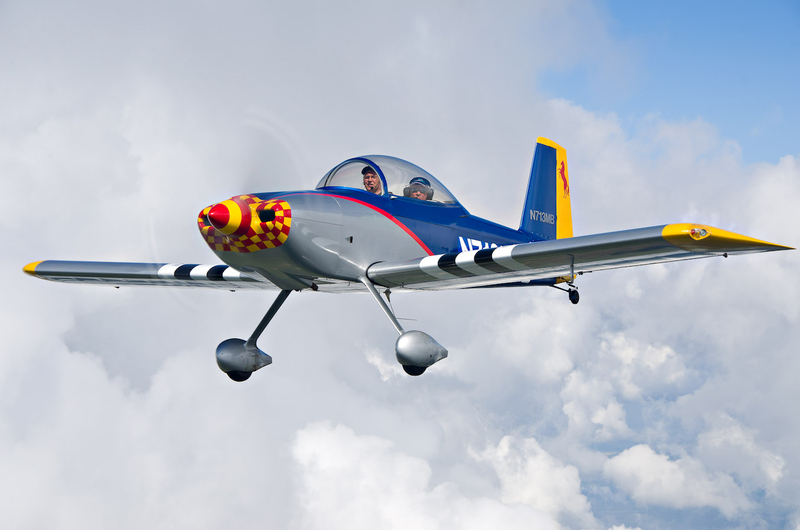 The RV-8 is a tandem, two-seat tail-wheel aircraft. It’s a beautiful airplane (and Ed Hicks is an awesome photographer). When I first started thinking about building several years ago I stayed away from the RV series because they were so popular. I wanted something different. But, now that the project is becoming much more realistic in my mind I’m finding the conformity comforting. RV aircraft are (relatively) fast planes with docile handling. They are (relatively) easy to bulid and have a huge community of fellow builders that will help you along the way. But why the RV-8 and not one of the other models? It’s the best looking. There, I said it, and I’m not ashamed. I’m choosing to build a plane because I like the way it looks. But that’s not completely crazy, right? Honestly, I don’t think that I’d be able to actually complete the project if I didn’t have the passion of a good looking plane to push me forward. There’s something about the bubble canopy and two main gears that does something for me. And of course the tandem seating and tailwheel makes it feel like a WWII fighter. The RV-8 is a fast plane. Fully loaded it power cruises at 182 knots and economy cruises at 162 knots but it stalls at only 50 knots. The ceiling is 22,500 ft and it has a range of 940 miles. A fellow pilot at work made a suggestion that has significantly reduced my fear of starting. He said: "Buy the empennage kit and build it. At the end if like what you’ve been doing then continue, if not then quit. You’ll only be out a couple thousand dollars and 100-200 hours of your time, and you’ll be able to say that you built part of an airplane". So that was the jolt that caused me to sign up for the EAA Sheet Metal Basics Workshop that’s taking place in Watsonville, CA in March. I also joined Vans Airforce, a website forum for RV builders and an amazing resource. On that forum I met a local builder who is getting very close to finishing his own RV-8. I was jumping in excitement after meeting him and seeing his project in person. This is exactly what I wanted to. Later that day I ordered the preview plans for the RV-8 from Vans. I can’t really say that I’ve fully committed to building an RV-8 yet. It instead seems that I will be making a series of progressively serious commitments to the project over time. It was a big step for me to go to an EAA meeting in September. It was a big step to sign up for the EAA workshop. It was a big step to put myself out there and talk to strangers on the internet about the project. It was a big step to take the morning to talk about the potential project with a current RV-8 builder (and feel like I wasn’t wasting his time). And it was a big step to order the preview plans. But the biggest step of all will be ordering the $1,685 empennage kit from Vans.